The Rocketbook app is designed to work with Rocketbook notebooks including the Amazon best selling Everlast, Everlast Mini, Wave, Color, One, and Rocketpad. Rocketbook allows you to enjoy the pleasure of writing in a traditional paper and pen notebook, while quickly digitizing all notes and sending them to the cloud with your smartphone. 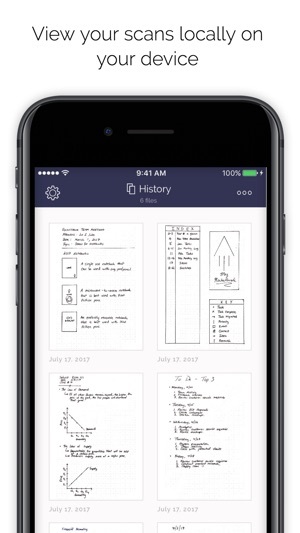 The latest Rocketbook feature, Handwriting Recognition (OCR), turns your handwritten notes into digital text and allows you to search them inside the app! Capture your thoughts naturally using pen and paper in your Rocketbook notebook. 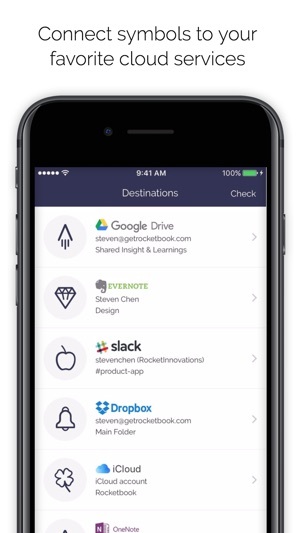 Then, use the app to digitize your notes and instantly organize them inside the services you use. Simply mark special icons on each notebook page to send your notes to your email inbox or specific locations inside Google Drive, Dropbox, Evernote, Box, OneDrive, OneNote, Slack, iMessage, and iCloud. 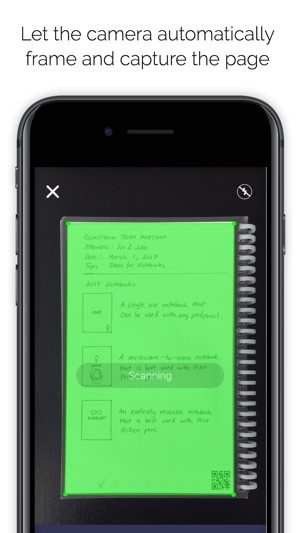 The Rocketbook app uses your smartphone camera to “see” your notebook pages and instantly blasts them into the cloud. For more information about our reusable notebooks, please visit getrocketbook.com. 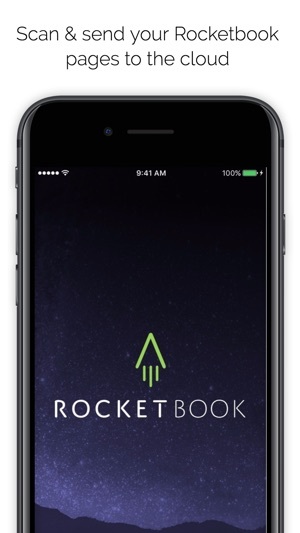 Free Rocketbook PDFs and customizable pages can be found at start.getrocketbook.com. By the way, App Store reviews are really helpful for us. If you think Rocketbook is great, would you mind taking a moment to write a nice review? If you have any feedback, please contact us at feedback@getrocketbook.com. Thanks! © 2017 Rocket Innovations, Inc.